The little engine that could. This pack is superb! I carry a 2 L bladder, extra layers, rain layers, food for the day, map, compass, first aid kit, extra mini Sawyer Squeeze, trowel and TP, sunblock, Buff, socks, hat, and the pack feels wonderful. The adjustability is off the charts. I can tweak the harness, shoulder straps, hip belt every which way easily. The rain cover is easy to pull out and stays put, and the reversible straps allow me to either compress the load or carry my snowshoes. Sometimes if I overload it, the framesheet will bend. I wish it were a bit firmer, but overall, Osprey really thought of everything. This baby has everything I want, nothing I don't. The pack rides as if it were a part of me, very stable, no jostling around, whether I use my poles or tuck them out of the way. I bushwack a lot through dried up Manzanita bushes which have torn holes in my clothing but never in this pack. 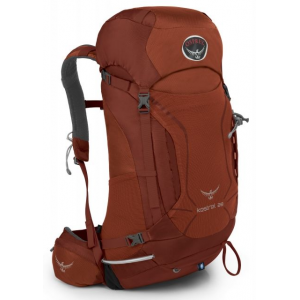 Ive had the Kestrel 32 for three years now and it still looks pristine after taking it all over the Sierras, Utah, and Colorado (for day hiking though, I use a larger one when backpacking). 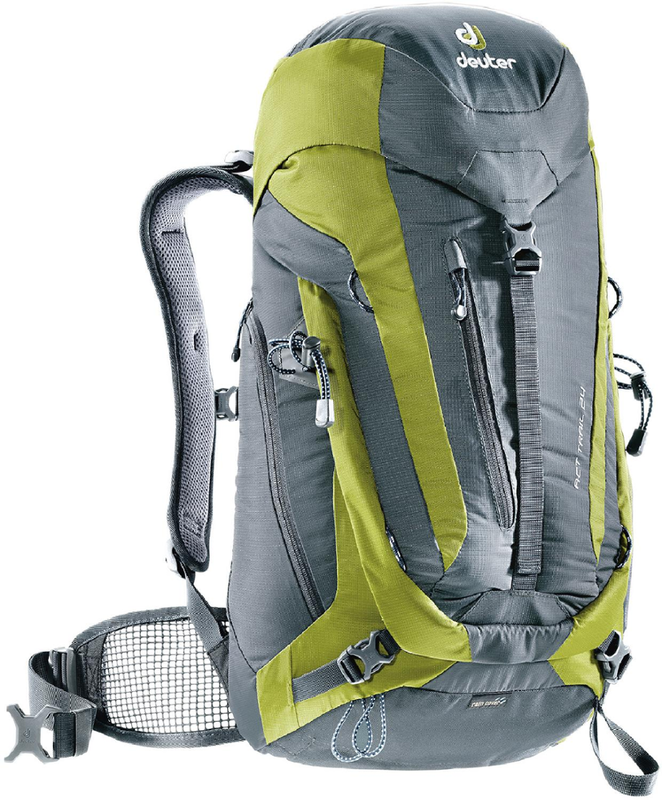 Favorite features: stow-on-go, reversible compression straps, the hydration bladder setup is way nicer than just shoving it inside the pack, and all the adjustability knickknacks are just too sweet. Welcome to Trailspace, Lilia! Thanks for sharing reviews of some of your gear. Got the pack for long day hikes and peak bagging. Got the pack for long day hikes and peak bagging. I often carry quite a bit of gear for peaks, especially if I have family with me. I have a 19" torso, so they say. I bought a M/L. I loaded it up and went out climbing. I had 20-25 lbs in it b/w gear, food, and water. The compression system really cinched the load down well and kept it from moving as the pack was not completely full -- I was impressed. The load lifter straps kept the weight off my shoulders and the bag pulled tight against my back. I used the built-in rain cover as it did rain. The cover worked well. The trekking pole attachment also worked well and kept it out of my way. I liked the external access for the hydration reservoir. The airscape back panel did its job I suppose - I was very sweaty from head to toe as I did a strenuous climb. The pockets on the waist belt worked well -- I put my camera in one. The waist belt was comfortable but could be slightly "beefier" as I believe it is basically mesh. The weight of the pack was more or less supported across my hips and off my shoulders. Not sure if I like the panel design though as compared to a top loader however it does make for easier access. Overall I was pleased with the purchase. 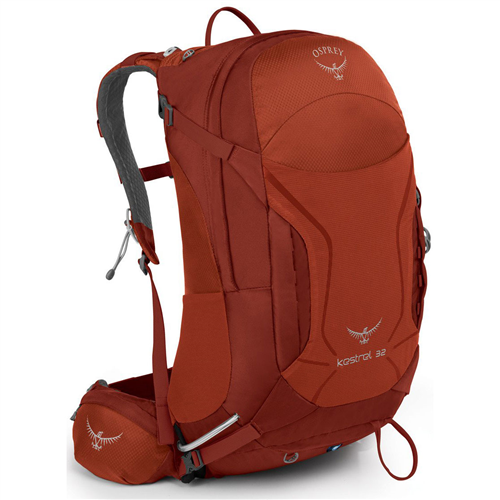 Osprey Kestrel is a superb pack. I have used a variety of day packs, internal frames, and camera backpacks. 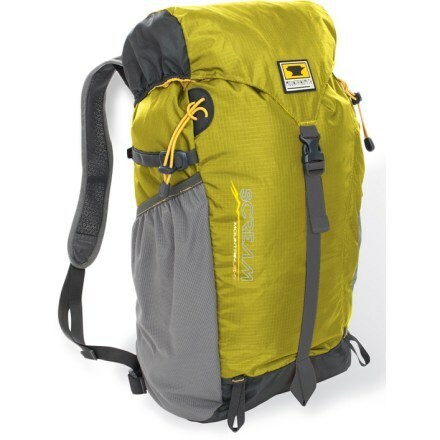 I was looking for something that carried better than a camera pack, was airline carry-on reg, could be used on rugged off trail hikes. After trying out several packs I found the Kestrel 32. At 32L size, its specs are just in the carry-on size limits. Or, at least, no one has every questioned it. With a simple frame, it provides enough support to transfer the load to the hips. The panel loader design is easy to access, a real plus to get at camera gear. The two belt and one top pocket are small but can be used for small items. Note the top pocket is in the main compartment so filling it costs you a little bit of internal space. The back mesh sleeve, holds a jacket. The trekking pole attachment works well. It carries well off trail. Very good pack. Worth looking at for the photographer and the hiker or climber too. 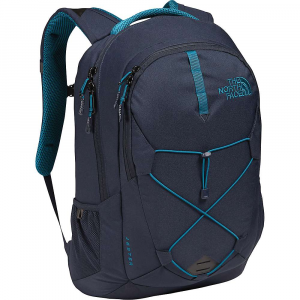 This is my third pack and I bought it for fast overnight trips and extended day trips where my North Face Prophet 45 is too big and my North Face Hammerhead is too small. Size wise, the Kestrel 32 is perfect for what I needed it for. The panel loading design made it easy to load my sleeping gear, tent (MSR Microzoid with the poles and pegs strapped outside), and cooking gear with some food, and a couple pieces of extra clothing into the main compartment. I loved the pockets on the hip belt for small stuff like my keys. I also liked the hoop and catch for the trekking poles but they only work when the poles are shortened down to their storage length. The suspension system on this pack works very well. I'm 5'8", 150# and the S/M pack fit me perfectly. A couple of adjustments with the straps and I was able to adjust the fit when I dropped off the sleep gear for a days worth of hiking. I really felt the air flowing between my back and vented back panel which was awesome considering I was in Joshua Tree NP in the low 90's. 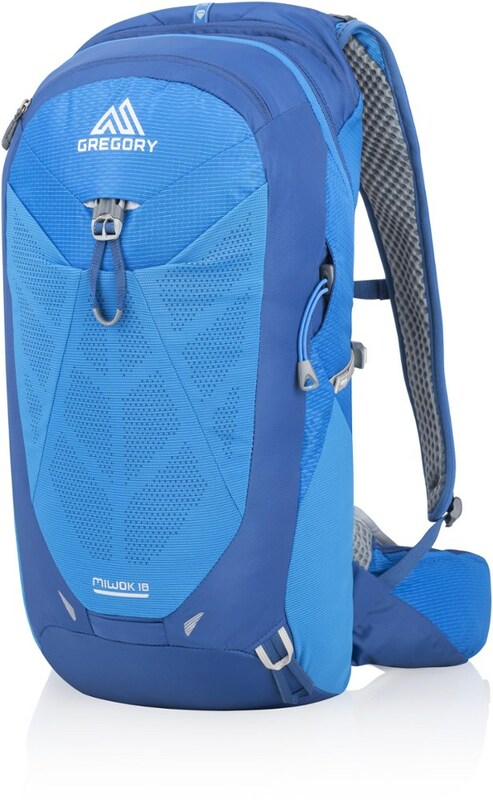 My only gripe is that the externally accessible water bladder pocket loads the bladder into the main pack compartment taking up space. 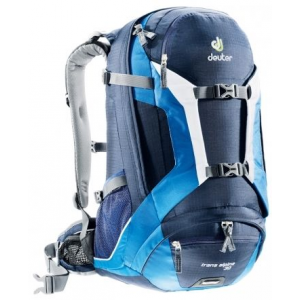 I don't know if there is a way around that design but with the pack fully loaded, it pushed on the bladder. PS: Osprey's customer support is awesome too. I lost the included rain cover and they were able to provide me a replacement at minimal cost.